With a smart phone you can literally do anything. Back in 1980 when they referred to a Swiss army knife as the all in one, efficient tool they clearly hadn’t anticipated the smart phone. In this article we introduce you to the best apps for you to learn how to do something everyone wanted to do when they were 19, i.e to play the guitar. 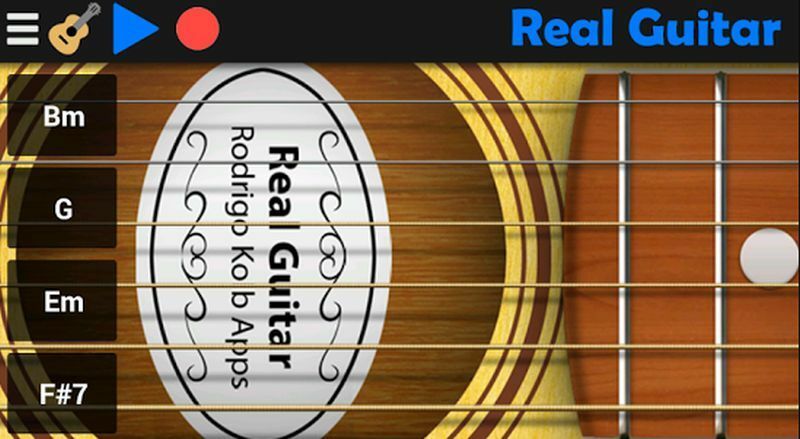 One of the most popular guitar apps out there, the Real Guitar is a simulator with a great reproduction feel. The best bit is this app caters to everyone’s tastes- doesn’t matter if you prefer acoustics string guitar or electronic, this app has both versions. There is a 16 track loop available giving you material access to practice right away. 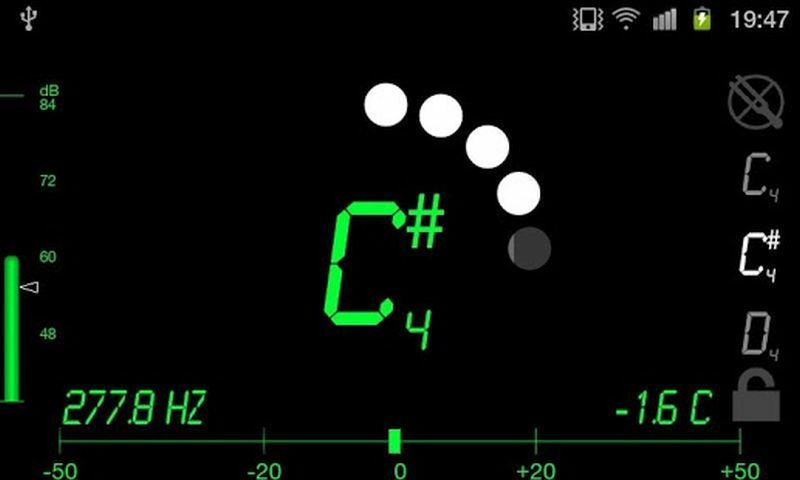 You can practice and create your own tunes which you can export to a PC or hard drive and tweak on it on post audio software. This one is great if you haven’t already gone ahead and bought a guitar. It’s easy interface, multi touch capabilities and export features make it a great app to check out if you are getting into guitars. 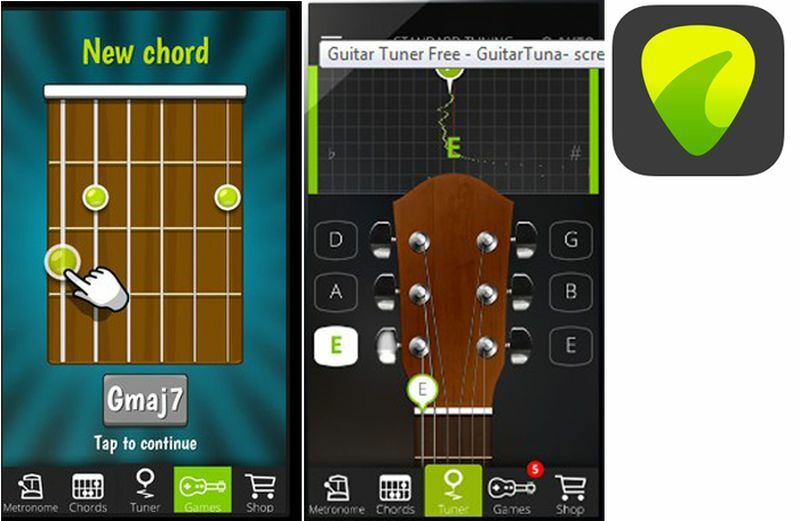 Another popular app for guitar worshippers is Guitar Tuna. Many practisers who aren’t even amateurs anymore swear by it. You know an app is popular when they start adding other instruments, as varied as cello, banjo and ukulele to their database. 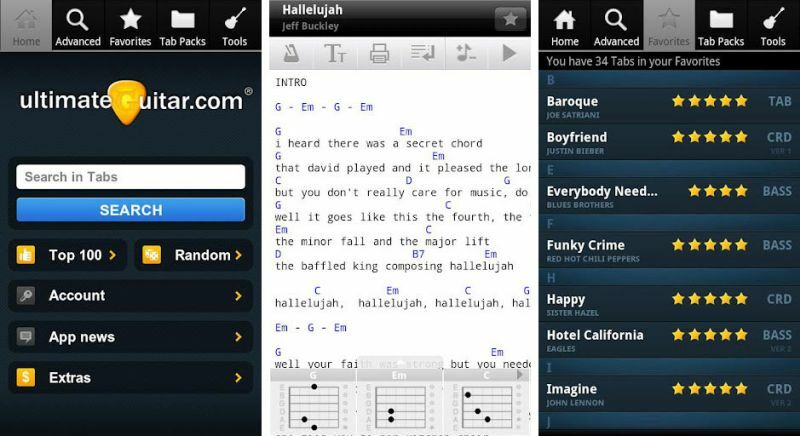 But it is for its guitar applications that the app continues to be known for. You need the microphone attached from your guitar to your phone and the app will ask you to do certain calibrations. You can tune accordingly and the app has a generous library of options to choose from. There is also a built in metronome and other assistance to a newbie learner. Getting your guitar up to pitch can be an ordeal and confusing even for complete beginners. DaTuner resolves this issue. The string- pitch correspondence is easily displayed and understood on the DaTuner. There is a “lock on” mode which allows you to pause the current note and tune it according to your desire. There is a paid version which costs approx. 3 dollars which allows a strobe display, a built in pitch pipe and even transposition. The simple interface is a plus point which is even mentioned on the play store. The best thing about Ultimate guitar tabs and chords is that it has a database online which has hundreds of thousands of guitar tabs. Though the web version is older, the mobile version adds extra features like playback functionality. The created music can be saved and viewed without an internet connection and the finished product can be sent as an export file through drop box and email. Though the app was free, currently it goes from 3 dollars (but they invariably make it free often) and it is totally worth it. Though the aforementioned apps are well known, there are a few other choices you can consider. Chord is a new app with both a free and 4 dollar paid version with a host of options for guitar lessons. Another option is Jamster which actually gives you 100 lessons for free and also provides real time feedback to your practise sessions. The budding guitarist can also choose Gibson Learn and Master Guitar app. It comes complete with a metronome, chord charts and a chromatic meter. Ultimately what matters is what a learner brings with them and some devout practise to go along with. But these android apps are a worthy option to consider if one wishes to learn how to play a guitar.